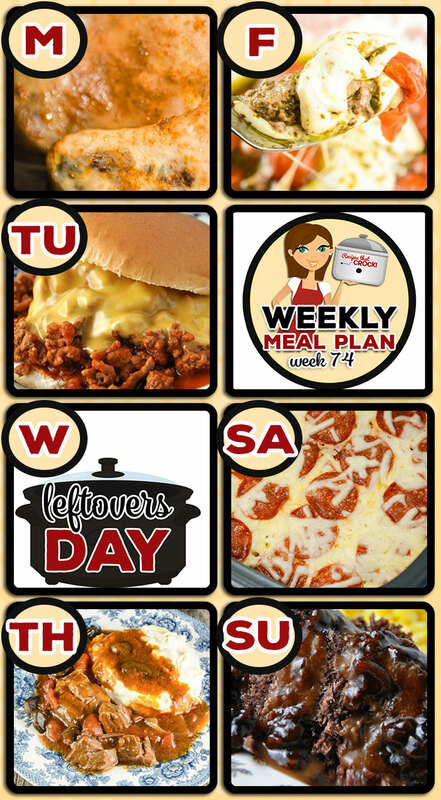 Meal Planning: Weekly Crock Pot Menu 74 - Recipes That Crock! 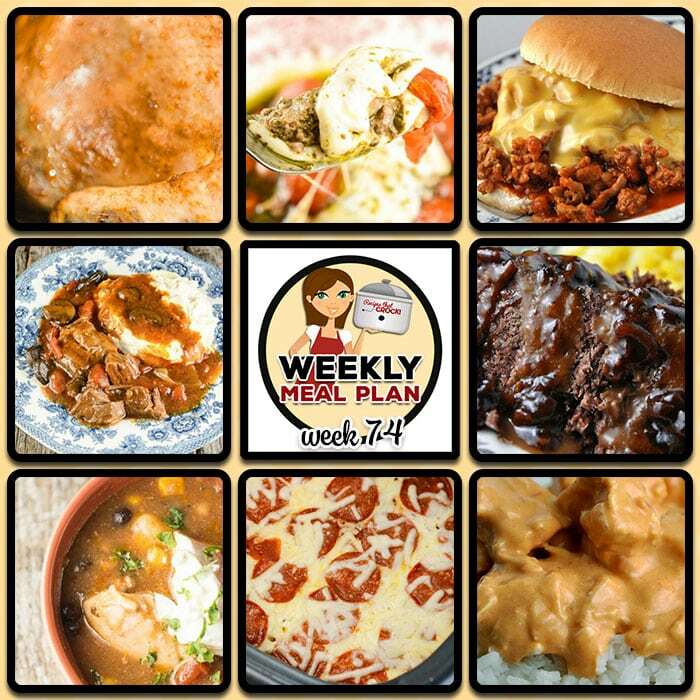 This week’s weekly menu features Crock Pot Fire Bird, Crock Pot Mexican Hamburgers, Crock Pot Fiesta Chicken and Beans, Crock Pot Italian Pot Roast, Crock Pot Mozzarella Steak, Crock Pot Pizza with Mac and Cheese Crust, Easy Crock Pot Roast, Creamy Crock Pot Chicken Salsa Dip, Crock Pot Triple White Chocolate Fantasy and Crock Pot Strawberry Breakfast Cake. My 6 year old is learning to cook and loves helping in the kitchen. Last week we tried this in the casserole crockpot and it worked great. It did still take the 2 hours. Hi Dawn!! So glad you guys enjoyed it! !